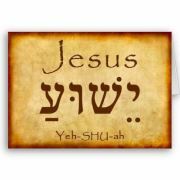 Walking with Jesus: Day 42: Acts 13:13-43 & Prov 16:10-18 - How Should the Gospel Be Presented to Jewish People? Day 42: Acts 13:13-43 & Prov 16:10-18 - How Should the Gospel Be Presented to Jewish People? 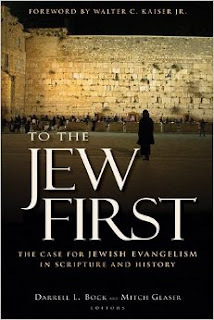 How Should the Gospel Be Presented to Jewish People? After leaving the island of Cyprus, Paul and Barnabas sailed north to Asia Minor, present-day Turkey. They made their way inland to a city called Antioch. This can be confusing to casual readers, because Paul and Barnabas are from a city called Antioch in Syria, but this Antioch is over 425 miles to the north-west from the sending church that commissioned Paul and Barnabas. 1. A strong knowledge of the history of the Jewish people. Paul shows that he understands the long and noble history of the Jewish people, as recorded in the Scriptures. 2. A knowledge of God's covenant promises. Paul understands that the Messiah is the promised Son of David, who comes according to the covenant promises of God. 3. Accurate reporting of the events of the life, ministry, death and resurrection of Jesus, beginning with the ministry of John the Baptist to the eye-witness accounts of His resurrection. Paul knew that many of the Jewish people would be more familiar with the ministry of John the Baptist, which is why he began there, to connect to knowledge they already had. 4. Direct quotation of specific promises of Scripture, demonstrating their fulfillment in Christ. Paul didn't just made reference to the broad outline of Jewish history or the covenant promises, both of which are important. He went further and directly quoted from Psalms that were fulfilled in Jesus. 5. Invitation to respond with faith and a warning against rejecting salvation. Paul urged the Jewish people to respond with faith in Jesus Christ, telling them what they would receive, and warning them against the high cost of rejection. These five elements are a good guide for us to consider when we have opportunity to share the Gospel with Jewish people, but they're also helpful for sharing the Gospel well with anyone. We need to demonstrate an understanding of history, of God's covenant promises, of the details of the ministry and work of Christ, and of the promises of Scripture. But we cannot just be demonstrating our knowledge; we must also be calling for a response. People must accept God's promises as they are fulfilled in Christ. They must receive Christ to be forgiven and freed. Heavenly Father, when we have opportunity to share the Gospel with someone, it is a precious gift. Let us not squander the opportunity by being unprepared or unwilling to tell the whole truth. Give us opportunities to witness and prepare us to witness well. In Jesus' name, Amen. that You would give them Your word, Your justice, and Your righteousness to guide them. Lord, keep our rulers and leaders from doing evil and from being deceived by those closest to them. Give our leaders Your favor, that they may govern well. Father, help us to lead well in our homes and neighborhoods and workplaces, too. worth more than anything this world could ever offer us. and we ask that You give us discernment that we may walk wisely. and let us humbly look to You in every aspect of our lives.